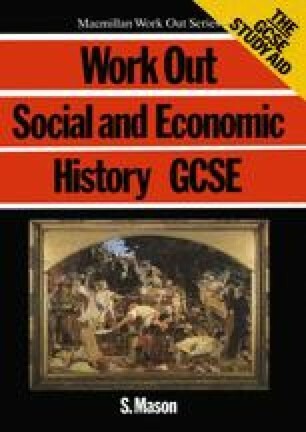 This book gives you the core information which you need to take any examination in Social and Economic History. I have planned the book for study at home or in class, or for just before the examination. While you are working through the book, I hope you learn a great deal about the changes which have taken place in the world you live in. My aims are to teach you to enjoy the study of History and to be successful in passing History examinations.